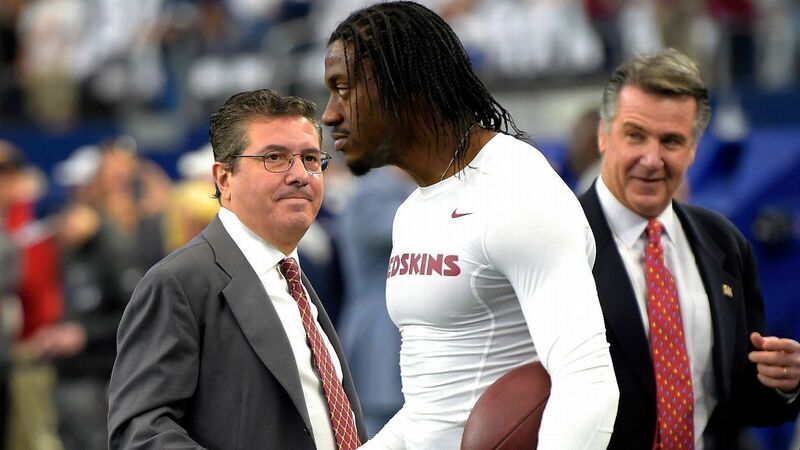 The Washington Redskins‘ quest for another quarterback isn’t new; it’s a game they’ve been playing for nearly three decades, unable to find a long-term solution. They believed they were in good shape after trading for Alex Smith last offseason, but those plans changed. The Redskins have had 27 quarterbacks start at least one game for them since winning the Super Bowl after the 1991 season. Only four have made the Pro Bowl. In team president Bruce Allen’s 10 seasons, they’ve often appeared to have their need filled, only to have it fall apart. In the past decade, the Redskins have invested nine draft picks and handed out $114.85 million in guaranteed money to two quarterbacks alone. Of those draft picks, three were first-rounders, two were second-rounders and two more were picked in the third round. They will be investing more at this position in the offseason, whether it’s a midlevel free agent such as Teddy Bridgewater or a low-cost one such as Josh Johnson. And they’ll likely draft one at some point in April. On Easter in 2010, the Redskins traded a second-round choice plus a conditional pick to Philadelphia for 34-year-old Donovan McNabb. It was the first big quarterback move by Allen and was one that some coaches — notably offensive coordinator Kyle Shanahan — did not endorse. They feared McNabb was done. Total investment: Two draft picks — plus the Redskins gave him a five-year, $78 million contract extension midway through the season that ended up costing them another $3.75 million in dead money the following year. Return on investment: Terrible. McNabb lasted one season with Washington and was benched in favor of Rex Grossman late in the year. McNabb finished with 14 touchdowns and 15 interceptions in 13 starts. The phrase “cardiovascular endurance” became a popular one in Washington, after then-coach Mike Shanahan used it to describe why he benched McNabb in a two-minute situation vs. Detroit. The extension was announced before a Monday night game against McNabb’s old team, the Eagles. Philadelphia won 59-28. The Redskins did salvage something by trading him to Minnesota for a sixth-round pick the following summer. In February 2012, the Redskins outbid others to acquire the second overall pick in the draft. Griffin and Andrew Luck were considered, by far, the best quarterbacks in this class. The Colts drafted Luck with the No. 1 overall pick. The Redskins also selected Kirk Cousins in that draft. Total investment: They traded three first-round picks, plus a second-rounder, to get the No. 2 pick. So they lost four draft choices. They used a fourth-round pick to select Cousins. Return on investment: Great for one year, but not great beyond that. Nobody energized the Redskins fan base in a long, long time more than Griffin. For one season he looked like he’d redefine the future of the NFL. He earned a Pro Bowl berth. But a torn ACL in a playoff loss to Seattle that season put him on a different path. Coaches will blame other factors, too, but the bottom line is that the injury robbed him of some explosiveness. Further injuries did the same, and for whatever reason, he never regained that rookie form. Because of that, the Redskins paid a steep price to win one division title (with no playoff wins). The Redskins drafted him in the fourth round in 2012. They twice used the franchise tag on him. Total investment: One draft pick and, in his final two years, $43.85 million on the franchise tag. Return on investment: Mixed. He paid off handsomely for being a fourth-round selection, becoming a quality NFL starter. You can debate what level he’s at — as Redskins fans did for three seasons — but he’s clearly a worthy starter. As the full-time starter from 2015 to ’17, the Redskins lacked a consistent run game and defense, so Cousins needed to excel for them to win. They did win the NFC East in 2015 in part because of his performance in the final 10 games. But Cousins was capable of looking like a top-10 quarterback one week and a bad one the next. He played poorly in the 2016 season finale with a playoff berth on the line. In the two years on the tag, his numbers were solid (he combined for 52 touchdowns, 9,010 yards and 25 interceptions) but he struggled in December and January each season (in nine games, he threw 11 touchdowns and 10 interceptions). The Redskins are expecting to receive a third-round compensatory pick this year for losing Cousins to free agency. Last offseason, the Redskins traded a pick and a player to Kansas City for Smith. They signed him to a four-year extension. Total investment: A third-round pick, plus starting slot corner Kendall Fuller. The Redskins then gave Smith $71 million in guaranteed money. Return on investment: The Redskins were 6-3 when Smith suffered a compound fracture in his right leg, but that injury now casts doubt on the rest of his career. If Smith does play again — he hasn’t been ruled out for this season, but it’s probably a long shot at this point — then it remains to be seen if he has the same athleticism. His numbers were modest, with 10 touchdowns and five interceptions. He clearly needed more help in the passing game. The players loved him and believed his injury cost them a playoff spot. But the guaranteed money plus the injury now make this one look bad. However, until more is known about his future, it’s hard to fully judge this investment. But the Redskins clearly know they need to make another one in someone else — the question is for how long?